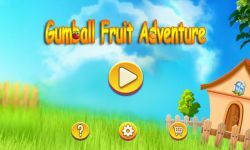 Gumball in a cute jungle worlds, gumball loves all kinds of fruits. 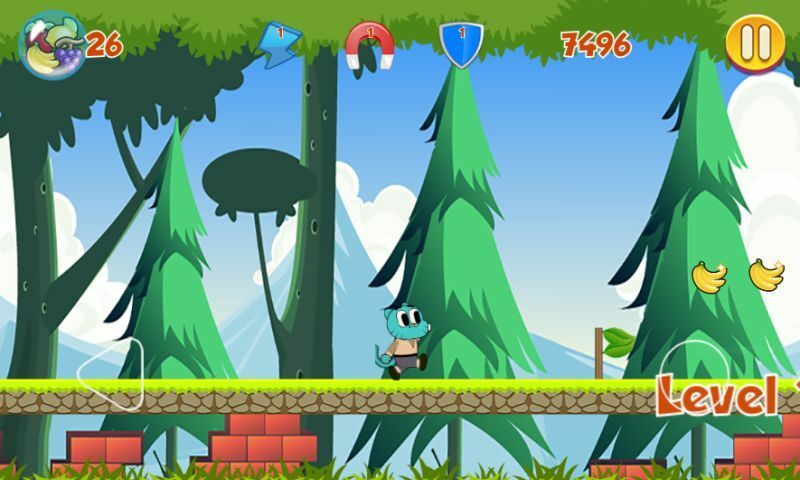 action game with adventure awesome gameplay challenging obstacles platformer game. 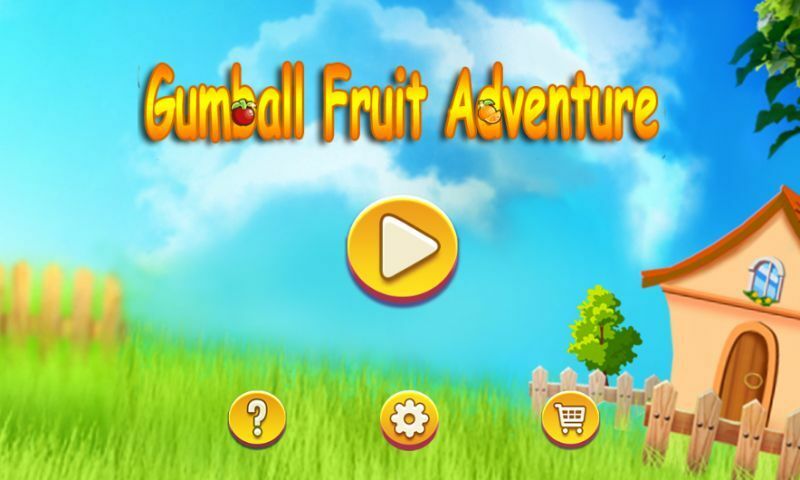 Gumball Fruit Adventure game is easy to play you have just to avoid obstacles and earn banana as much as you can. 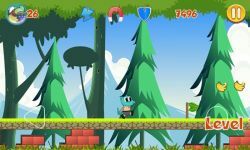 Have fun with the cute character and do your best to get more bananas, jump higher and enjoy the game. How to play: Tap the bottom right corner of the screen to jump and Tap the left bottom corner of the screen to run backwards Highlights: - 5 Worlds. - Challenging levels. - Many mission to complete. - Awesome Cool unique graphics. - Cute Music Sounds.